Seeking a great source for excellent firewood sales in Austin, TX? Need natural fill materials to accentuate your property? 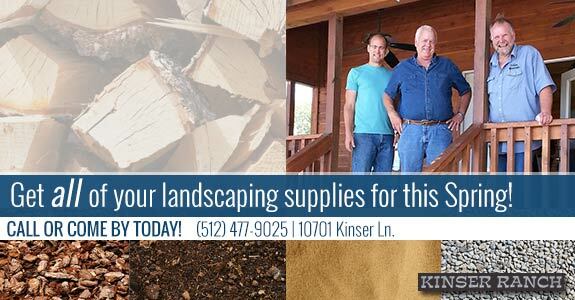 Look no further than Kinser Ranch LLC to provide you with all of your needs! Firewood: We offer the highest quality, organic firewood to residents of Austin and take pride in providing some of the best prices around. Our prices are unmatched and our wood can be used in a wide variety of applications, from wood burning stoves to fireplaces. Mulch: If you’re ready to begin that long-awaited landscaping project that’s been weighing on your mind, don’t forget about the mulch! 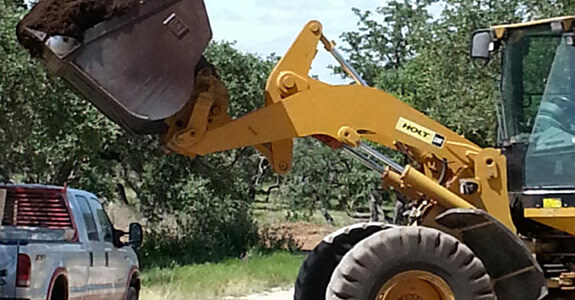 Kinser Ranch LLC offers top-quality mulch and will gladly deliver to residents within our service area of central and southern Austin, TX. Topsoil: Having quality topsoil is a cornerstone for any successful landscaping project, whether you’re laying down a new flowerbed or you’re bolstering the greenery around the sides of your home. Get your topsoil at Kinser Ranch LLC. Gravel: Gravel may be coarse, but it’s often the perfect complement to a landscaping project that needs a little bit of grit to stand out. Whether you’re filling in the area under your new gazebo or you’re simply putting down a foundation for new hardscaping, we’ve got your gravel at the right price. Dirt: Whether you’re grading land or filling in where an old landscaping endeavor has been dismissed, we’re happy to supply the dirt you need to serve as a solid foundation for any and all landscaping projects you may find yourself faced with. 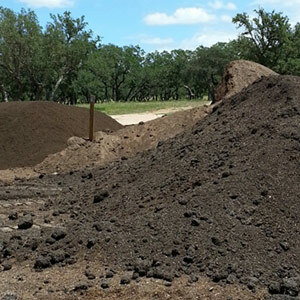 Compost: If you’re looking to go green with your landscaping project or just want to treat your vegetation to something beneficial and becoming, ordering compost from Kinser Ranch LLC is the best option. We’re happy to supply organic mulch in a variety of capacities to you, for whatever project may call for it. Loam: Loam is tremendous for creating a natural water table within your landscaping environment and the nutrient-rich soil will absolutely yield prolific flora growth for you and your landscape. For the best, freshest loam, we’re ready to deliver—all you need to do is order! Crushed Granite: The beauty and marvel of crushed granite cannot be understated and virtually any landscape can benefit from its use. When the light catches the crushed granite on your property and creates a sparkle that spans your entire landscape, we’re certain you’ll see the value. 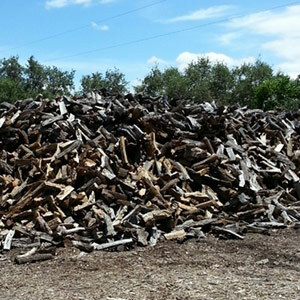 For the highest quality firewood, mulch and other organic fill products money can buy, there’s no question that your first choice should be Kinser Ranch LLC. From our services and prices, all the way down to our products, we’re proud to meet and exceed your highest expectations. Call us today at 512-477-9025 to learn more about how we can help you!